The good vibes built up in 2016-17 vanished quickly in 2017-18. 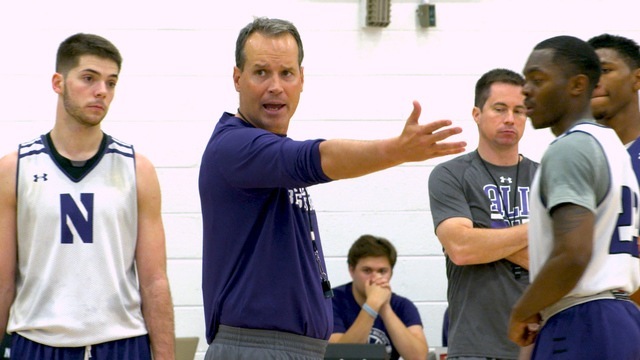 Northwestern brought back most of a team that was a single-digit seed in the 2017 NCAA tournament and stumbled to just 15 wins last year. The Wildcats were ranked in the preseason top 25 and didn't come close to the dance. What's to like in 2018-19? There’s talent here, but the Wildcats also lost some key pieces in Bryant McIntosh and Scottie Lindsey. Vic Law, who averaged 12 points per game, will need to make a leap this year. He has the ability to do it. Much of Northwestern's fortune will ride on Evansville transfer Ryan Taylor, who averaged 21.3 points per game last season. He'll replace Lindsey and form a modern, perhaps lethal wing duo with Law. Rick Osentoski | USA TODAY Sports Images Anthony Cowan.